If you’re looking for a Pest Control Company in Marlton, NJ give us a call today at 856-753-1401 for a FREE estimate. Pest control is the science of keeping insects at bay. In a world where they outnumber us a million to one, keeping the bugs out of our personal habitat is an ongoing war. Insects can carry diseases and bacteria from place to place, so for the best health and comfort, keeping them out of our homes is ideal. A few ants can be combated easily enough, and a marauding raccoon can be live-trapped and removed, but a serious infestation requires more serious measures. Common pests of Marlton, New Jersey include mice, rats, raccoons and insects. Infestations of cockroaches, termites or wasps are not only disgusting but can be unhealthy. With the recent return of bedbugs to our homes, hiring a professional is the only way to eliminate them. Bedbugs are so persistent and hide so well that home remedies will not get them all. A professional can come in with a carbon dioxide system that will kill all the insects in your home, leaving your family safe and able to sleep soundly at night again. With the help of a professional local pest control company your home can soon be back to normal. Signs of infestation can be droppings, pupa and larvae in food. Even if you don’t see the culprits, when you move a refrigerator or look in the attic the signs are easy to find when you know what are looking for. Where you find mouse droppings, know that there are traces of urine as well. Rats and mice have no bladder control. Everywhere they go, they leave behind them an invisible trail. Mice can enter your home through a hole no bigger than a dime. Choose a reputable pest control company who will use non-toxic methods to terminate your pest problem. Use of systemic pesticides in your home can have lingering effects. Often home remedies can be ineffective, or even make the problem worse. 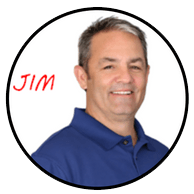 A professional will completely eliminate the infestation and arrange for follow up visits to make sure the pests do not resurface. In the long run, you save money and your peace of mind. 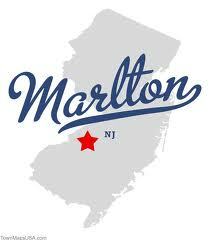 If you are in need of a Marlton, NJ pest control company, call TermiGuard at 856-753-1401 for a FREE estimate.